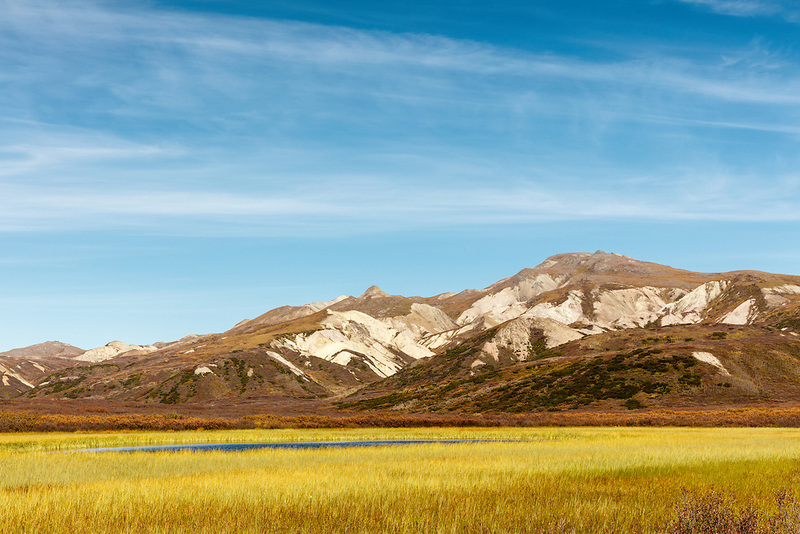 Kettle pond along park road in Denali National Park in Interior Alaska. Autumn. Afternoon.